I have been spending some very enjoyable time up in our nations great capital and staying in an apartment with wonderful views over the city. The sweeping vista takes in the new St Georges Tower at Vauxhall and sweeps past the The London Eye and Palace of Westminster, St Paul’s Cathedral and around to the City complete with “Cheese Grater”, “Walkie-Talkie” and “The Shard”. At night in fine weather it is quite breathtaking. 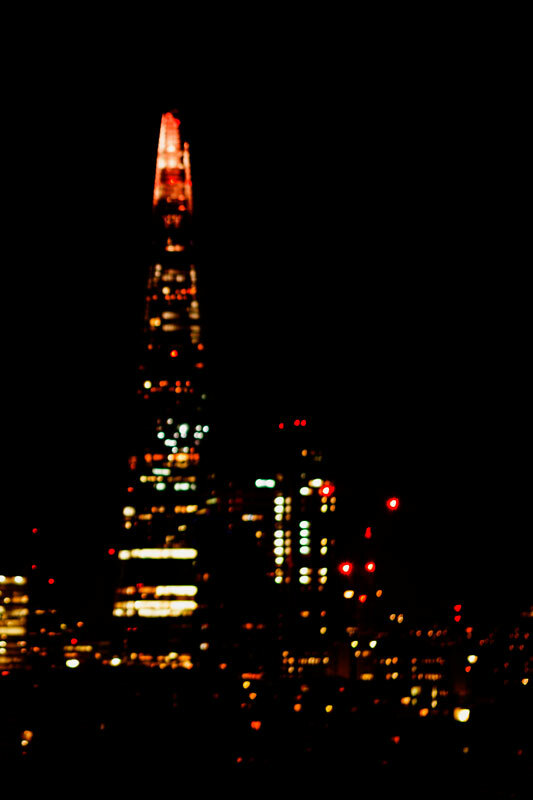 Here is my slightly alternative photograph of The Shard, the inspiration coming from a painting I saw of the Eiffel Tower recently. Printed large and up close & personal, it does make for a rather enchanting image! Essentially the image is simple ‘bokeh’ but maintains a lovely soothing quality that holds the gaze. Much new imagery being worked on currently and contracts being fulfilled. I have been a little lax on the blog recently so hope to correct that in the coming weeks.